Chickasha, OK based manufacturing company supplies cooling tower components and custom fiberglass products. Chickasha, OK – August 2012 – Midwest Cooling Towers, a company that designs, manufactures, installs, and services cooling tower systems and other custom fiberglass products celebrates its twenty fifth anniversary this month. Since its founding, Midwest Cooling Towers has delivered cooling tower parts and components all over the world. Midwest Cooling Towers, through the wholly owned subsidiary Beetle Plastics, is expanding into custom fabricate fiberglass parts including tanks, piping, manways, stairways, and supports. Twenty five years ago Larry Brown and Dave Smith founded Midwest Cooling Towers and something special was born. “Our vision for Midwest Cooling Towers has always been to build a great team that created and delivered the best quality products and that we be a supplier that treats people differently. Being an employee owned company allows us to create an environment where people see the company as more than an employer and their fellow employees as more than just co-workers. We believe this structure and the resulting culture shows in our work and in our commitment to our customers.” states Larry Brown, President and CEO of Midwest Cooling Towers. “The future for Midwest Cooling Towers is expanding rapidly into new markets to help companies with unique problems. We have the capability to create custom fabricated fiberglass components that address issues ranging from corrosion resistance to challenging design shapes to portability. Our core expertise in creating fiberglass designs to meet unique customer requirements makes us unique and will drive our growth and structure in the future.” says Mr. Brown. Midwest Cooling Towers delivers cooling towers and custom fiberglass components; whether new construction, reconstruction or repair; parts and components are what we live and breathe here at Midwest Cooling Towers. 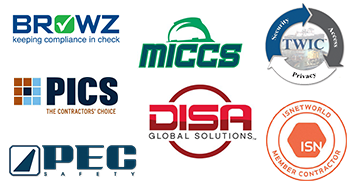 Midwest Cooling Towers manufactures and supplies components to over 85 other cooling tower companies and contractors in the U.S. and more than 110 around the world. Our world headquarters and over 200,000 sq. ft. of manufacturing facilities are located in Chickasha, just southwest of Oklahoma City, OK. We have approximately 450 employees. In November 2007 Midwest Cooling Towers became 100% employee-owned.